Nokia may be falling behind in the race to smartphone supremacy due to Android and iOS. But when it comes to Windows Phone ecosystem, the Finnish company is still the torch-bearer. So in the light of inching closer to Samsung, HTC and Apple; the once handset leader refreshes its flagship line with the Lumia 925. 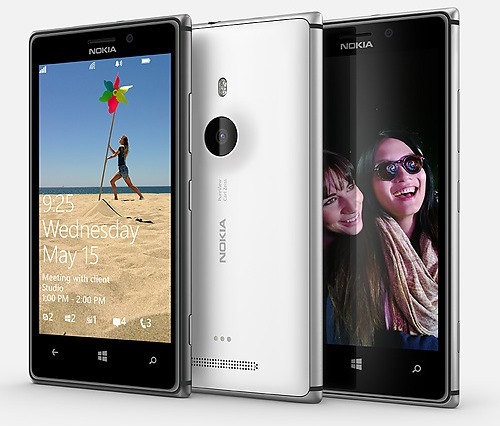 The candybar body of the Lumia 925 is brushed with aluminum front and plastic backing. Thus, this is, by far, the most appealing handset from handset maker. With its 8.5mm thickness, it is convincingly slicker than its predecessor, the Lumia 920. One good thing about its 4.5-inch display is that it'll throw a 334 ppi pixel density - the brightest Nokia has ever produced. Under the hood ticks the broaded 1.5 GHz dual-core Snapdragon S4 CPU, a gigabyte of RAM, 16GB internal memory and the standard slots in mobile technology. Ofcourse, powering the whole show will still be the Windows Phone 8 and the camera will still be a 8.7 megapixel affair with the amazing "PureView" moniker. The finnish company also claims that this a super camera phone with the "world's most advanced lens technology." This phone will hit UK on the first week of June with 469 Euros (around Php 26,000) and the rest of Europe eventually. Ofcourse, this handset will grace the country soon. We'll update you once we get the deets. In the meantime, check out the rest of the video and specs after the jump.